The 2017 Pingtan International Kitesurfing Competition, kicked off in Pingtan, in South China’s Fujian province on Sept 19. Open both to pro riders and amateurs, this year's competition is offering a whopping $50,000 in prize money. 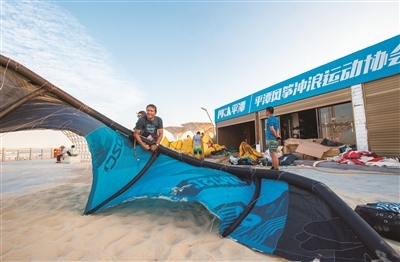 More than 100 kitesurfers from 28 countries and regions across the world participated in the competition, hitting a new record high, according to Zhao Dahui, general coach of the Pingtan Association of Kitesurfing. Martin Dolenc, is a kitesurfer from Croatia, and it is his first time to come to Pingtan. In bid to get adapted to the city's wind and water, he came three days earlier. "Since it’s my first time to come to Pingtan, I feel a little nervous, and I hope I can achieve wonderful grades," said Martin Dolenc. As a local resident, Chen Jingle pocketed the several titles of the competition before, and this year, the 17 year-old girl is prepared to seize another one. Pingtan, by virtue of its favorable water quality and wind speed, has hosted the event for six consecutive years. 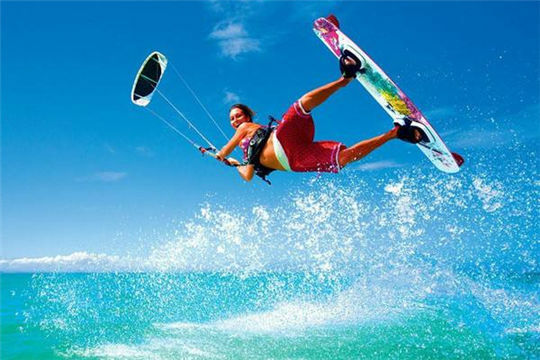 One of the world's fastest growing water sports, kitesurfing is gaining an increasing popularity in Fujian in recent years, especially Pingtan and Xiamen.